Seeking To Avoid The Wars Of Disassociation With Penny Mordaunt! it is unfortunate that David Cameron and his claque trying to dupe the British people with lies and spin to Remain in the EU against the best interests of Britain our peoples and our alies around the world. 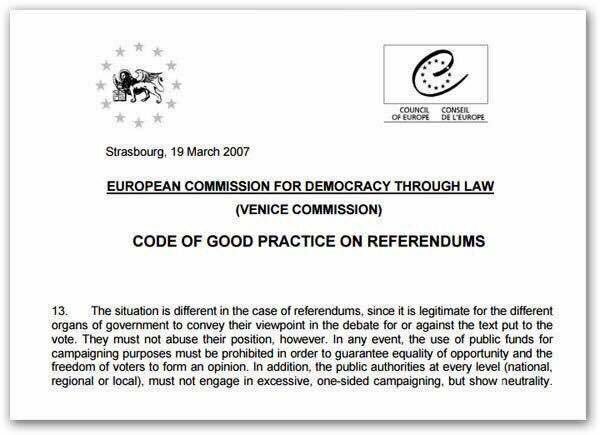 Clearly if David Cameron’s lies, corruption and FUD do manage to dupe the British peoples to vote to Remain in the EU it is obvious that due to the corruption of due process the result must be considered Ultra Vires, and as such invalid. 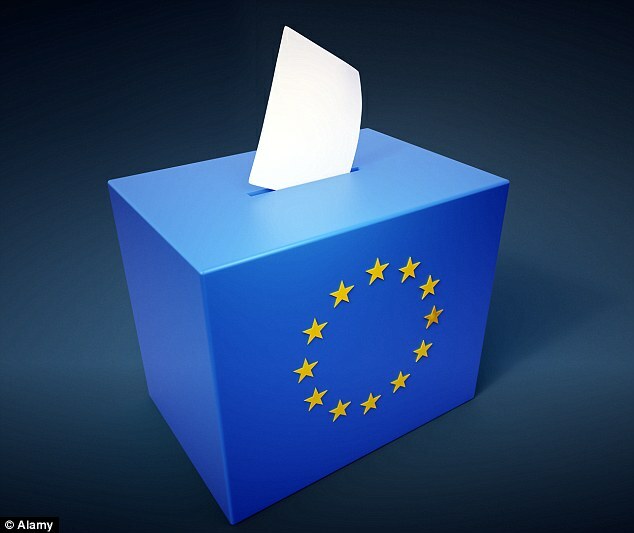 It is my opinion that IF the vote is to Remain as a result of the corruption of the process then whilst we await a free and fair IN – OUT EU Referendum surely we who value democracy, justice and our sovereignty ahould commit to participating fully in the EU with the express and stated determination to destroy the evil structure and its odious ambitions. 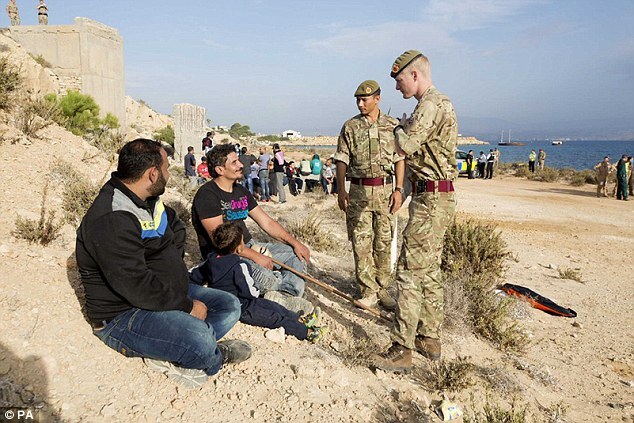 It becomes our duty to seek to dismantle the EU to avoid the greater dangers of the Wars of Dissassociation that are becoming increasingly inevitable, as I have warned for some 20 years and I note is now being warned of by a British Government Minister Penny Mordaunt, The Armed Forces Minister! The EU can only be saved from sleepwalking into the ‘disaster’ of conflict between its member states by Britain voting to leave, the Armed Forces Minister warned last night. In a dramatic intervention, Penny Mordaunt said the austerity programme required to keep the euro alive had created ‘tremendous potential for civil unrest’ across the continent. She said that, unless the EU’s leaders woke up to the danger by Britain walking away from the Brussels club, there could be ‘unrest between cultures, between nations’. Interviewed by House magazine, the Brexit campaigner also insisted that the momentum was on the side of Out – with the public not being taken in by the ‘hysteria’ generated by the Government machine. Miss Mordaunt said: ‘One reason why I decided to Leave is because I think it’s the only route open to us to get both the better deal that we need to thrive – but also to try and wake up the EU from what it’s currently sleepwalking into, which is a disaster. ‘The suffering that it is putting on certain member states because it can’t get its act together over the euro, that forced harmonisation, is horrific, and is just the sort of thing that is going to lead to those countries not thriving, but failing. ‘Take a look at what’s happening on the continent now. The tremendous potential for civil unrest. The tremendous ill feeling built up in Spain, Portugal, Italy, Greece, because of the forced harmonisation in the eurozone, the tremendous austerity. ‘Now with the migrant crisis added to that and the behaviour of particular nation states you have a real unrest, a political reaction to that with the rise of far-right parties, again causing further unrest – between cultures, between nations. ‘The continent is fragmenting. People are taking back control against the EU’s rules to try and get some control over the situation, to try and protect their state’s interests. ‘So it is fragmenting now. The dominoes are already tumbling. And we need to help Europe realise this and get a grip. Miss Mordaunt said the campaign fight was ‘unfair’ – with the ‘entire weight of the government machine and taxpayers’ money on the Remain side. She said: ‘The Remain campaign is being deeply patronising to the public. I think that they underestimate the grit and determination of the British people, and I think that that is what we are tapping in to. ‘There is a sort of hysteria, and language that has undermined our country, our businesses, our services, our capacity in all areas – which fundamentally has undermined the people that work in those areas. The minister insisted, however, that the ‘momentum’ was with Brexit. She said: ‘I think that the public are really realising what a seismic moment this is. ‘People respond to optimism and aspiration, and when they’re told that their country can’t do something, or is too weak or too poor or too inept, they get quite cross about that. I think that’s why the momentum is with us at the moment. ‘The nation is conservative with a small “c”. I’m under no illusions. The last two referendums we’ve had the public voted for the status quo. ‘But I think the nation is ambitious, it has optimism about what we’re capable of. We risk very little to gain a huge amount, and I think the public, once presented with the facts, will see that. Previous Previous post: The Winds Of Change Are Blowing In Opposite Directions!